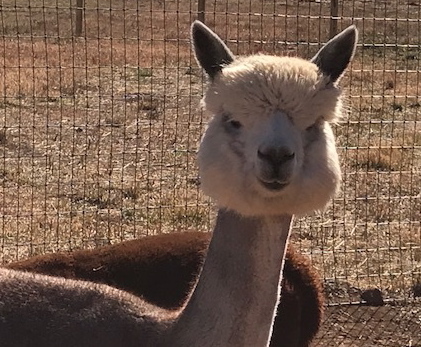 Serendipity has a beautiful head style, nice conformation and excellent bone. 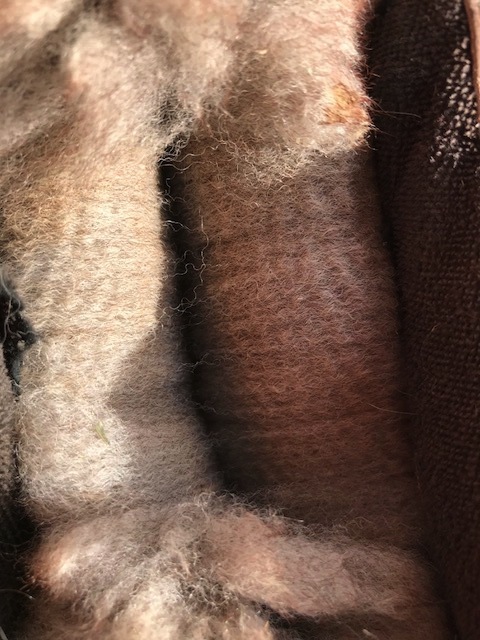 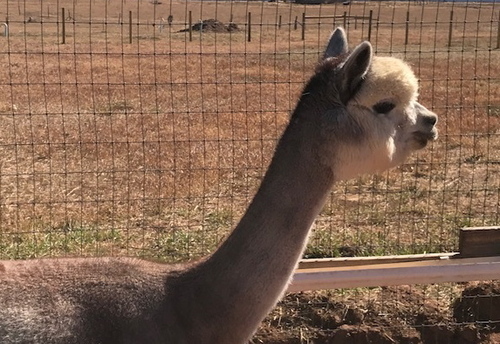 Her fleece consists of a high frequency, low amplitude crimp style with awesome density. Her staple length is on the short side however her crias have both had a long staple length, her current cria at 2 months of age is over 2" in length and showing a very nice crimp style. 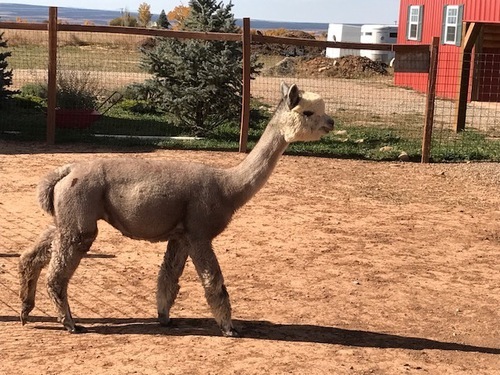 Serendipity's fleece has that sought after lavender hue! 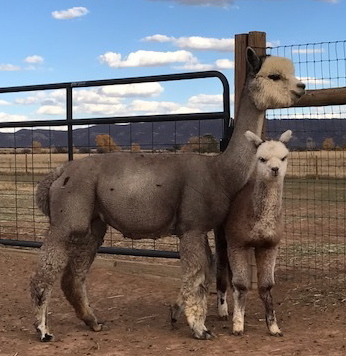 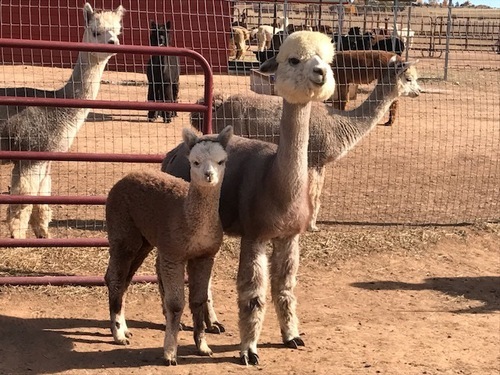 Her 2017 cria is a Classic Medium Rose Grey male with good bone, solid conformation and a very nice crimp style being shown at his young age of only a couple of months.